A middle-aged man returns to his childhood home and is drawn to the farm at the end of the road where, when he was seven, he encountered a most remarkable girl and her mother and grandmother. As he sits by the pond -behind the ramshackle old house, the unremembered past comes flooding back--a past too strange, too frightening, too dangerous to have happened to anyone, let alone a small boy.A groundbreaking work as delicate as a butterfly's wing and as menacing as a knife in the dark, The Ocean at the End of the Lane is told with a rare understanding of all that makes us human, and shows the power of stories to reveal and shelter us from the darkness inside and out. 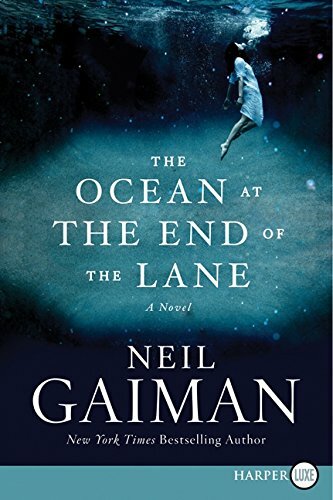 From New York Times and Sunday Times bestselling writer Neil Gaiman, comes a novel of memory, magic and survival, about the power of stories and the darkness inside each of us.